If you don’t market your brand online, you are missing something big! 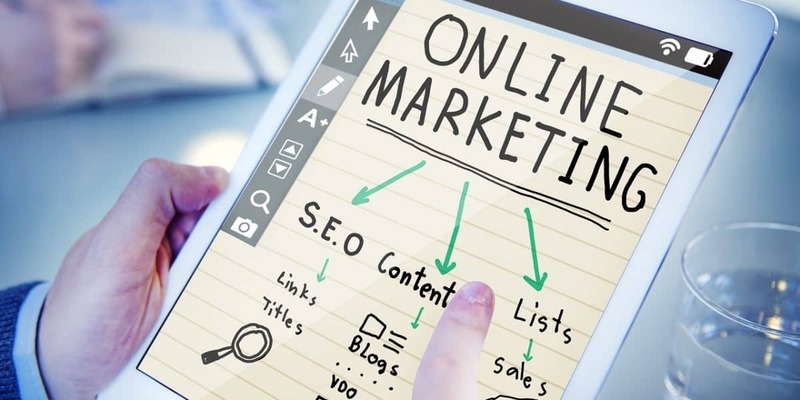 Online Marketing is one of today’s most effective advertising medium used to reach a wider range of your target audience, generate leads, acquire customers, and build your brand online. Before making any online marketing effort, make sure you know your target market. To whom (in terms of age, gender, financial condition, and social position) would you offer your service or product? Identifying your target market will help in developing marketing strategies that yield results. For instance, if your target market is women at their 20’s, you will not need to buy ad space in different magazines. Find which platform or place is the most popular for your target audience. Generally, determining your target audience saves you time and resources. It is tempting to create a business profile in every possible social media platform such as Facebook, Twitter, Instagram, Reddit, LinkedIn, GooglePlus, Tumblr, etc. But, if you do not have a prior experience handling social media for business, your effort can just go to nothing. Social media management is not as easy as it sounds. You will need to ensure that the content you share is relevant and useful. You need to consistently update each and every account and determine when the best time to engage with your audience is. You will need to interact with your audience and implement the right strategy. So, instead of spreading yourself too thin, find a few platforms that you are comfortable using and will work for your business. Facebook has approximately 1.9 billion users in a month and is the best place to reach the audience at the age of 18 to 49. Instagram has around 600 million users, most of them ages 35 and below, and 53% of them follow brands. Twitter has around 317 million users mostly aging 18-29 but they only spend an average of around 2.7 minutes of the mobile app per day. Find out which platform most of your audience is using and start on that. Build your presence by posting on a constant basis. If your website loading time is slow, chances are users will easily click the close button and would rather find other similar website that offer a seamless user experience. So, at the very least, make sure your website loads fast. It is understandable that you may not yet have the budget to pay for someone to manage and maintain your site, but at least get the basics right. Also, make your site mobile friendly. A lot of people these days have been using mobile phones to search for something online. It is not enough to just create a website. It is not enough to make your website design appealing. The important thing to note is that it should be easy to find not only by the target audience but also the search engines. To make sure that the search engines like Google, Bing, and Yahoo will be able to find your website, optimize the site. The practice is also called Search Engine Optimization. For beginners, doing SEO can be a bit of a challenge. If possible, find a SEO Virtual assistant who is knowledgeable about it. It may cost you money, but the return on investment, in the long run, can be big. You probably already heard the phrase “content is king”. Always remember this when doing your online marketing. There are lots of reasons why content is considered as the king. Primarily, it is needed for SEO. Unique content with the right keywords and internal links to other valuable and relevant content published regularly can help in pushing the website to the first page of search engine results. The higher the ranking is, the better the brand exposure will be. A good content can also encourage customer engagement; generate new leads as well as sales. It also adds value to your service or product and increases traffic. In crafting a good content, follow the 80-20 rule. The 80% of the content should focus on delivering value and the 20% on promotions. According to HubSpot, 81% of marketers said that video marketing helped them boost their sales. The 97% percent say that it has helped improved user understanding of their service and product. Other 81% of individuals have been convinced to purchase the service or product right after watching a video from the brand. Based on these statistics, you can easily see why video marketing is growing at an incredible pace. More customers are looking for online reviews than ever before. In the local consumer review survey published in Brightlocal, 85% of costumers trust the reviews online as much as the recommendation from peers, and 30% said they judge a business based on the reviews. So, do not forget to include this in your online marketing strategy. To improve customer reviews and achieves a balance of negative and positive reviews encourage or remind your happy and satisfied customers to leave a feedback. This is probably one of the most responsive and valuable assets you can have! In fact, Hatchbuck, a CRM software company found that customers who buy products or service through email spend more than a hundred percent more! While email subscribers, according to QuickSprout, are 3x more likely to share valuable content on the social media platforms. Just because only a few are doing this, it does not mean it is not effective. So make this part of your online marketing. Consider offering subscriptions to the readers who want to stay updated and informed about special offers, discounts, or sales. Estimates show that the online influencer marketing market will reach $10 billion by the year 2020. Local influencers usually have a hundred thousand followers on their social media networks. Imagine how wide your audience reach would be if you work with them! Although it may cost you some penny, the ROI will surely worth it. In fact, 51% of marketers who use influencer content note that the ROI has improved if compared to sharing content created by the business itself. The market competition can be tough. Surely, there are many businesses that offer the same product that you provide. So how can you convince customers that yours is better than your competitors? The key is learning what the other business in your niche is offering and what value you can add to that. Something that is unique to you, which is why doing a competitor’s research is important. So, start growing your business now by following the above-mentioned tips. This article was written by Jounayet Rahman SEO head at Vatask.